Come with me to see this sad story. 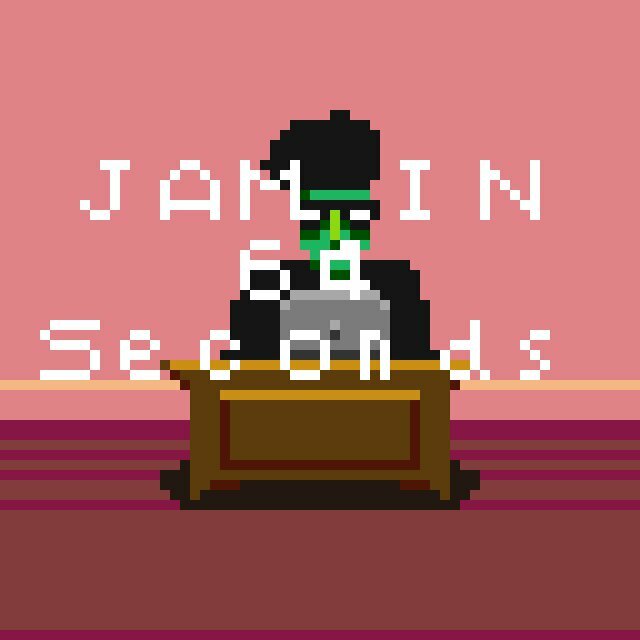 The game that I want to make for the LOWREZ JAM was discarded because I don't have enough time, so, here is a game made jamming in a couple o hours. You have only 64 seconds to make an entry to the last game jam, do your freelance work, take care of your pet, and dinner with family! Are ready to jam like a brave and bold indie dev?! Only mouse or touch screen. First, get and idea, matching genres on the Roulette, then work in the assets! paint some pixels, play some notes, and get ready to code, tapping on the screen (or your keyboard), fix some bugs (clicking on it) and voila! your game ready to be submitted!